The parties in the Dutch food products sector are joining forces to ensure responsible business conduct in the international production chain. Today, they signed the International Responsible Business Conduct (IRBC) Agreement for the Food Products Sector. This agreement is intended to foster cooperation throughout the entire chain to minimise the risks of negative impacts such as human rights violations and damage to the environment, thereby working towards increased sustainability in the production chain. 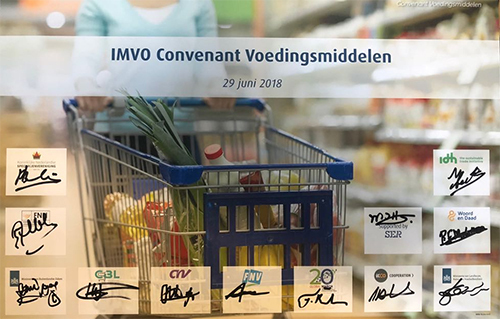 The IRBC Agreement for the Food Products Sector has been signed by a broad coalition made up of sector organisations the Dutch Retail Organisation (CBL), Federation of the Dutch Grocery and Food Industry (FNLI) and the Royal Dutch Spice Association (KNVS), trade unions FNV and CNV, the Ministers of Foreign Trade and Development and Agriculture, Nature and Food Quality, the civil society organisations ICCO, Woord en Daad, Global March Against Child Labour, and IDH the Sustainable Trade Initiative. Solidaridad has also expressed its support. The negotiations for the Agreement were facilitated by the Social and Economic Council of the Netherlands (SER). The Dutch food products sector as a whole has committed to taking the initiative to launch projects in this area. Efforts are also being made to enhance IRBC risk management to prevent problems in the production chain where possible, and tackle them where they do occur. 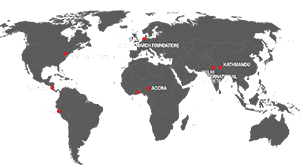 All member companies of CBL, FNLI and KNVS are covered by the Agreement, which has been signed by the sector organisations on behalf of the whole sector. It is the responsibility of these sector organisations to ensure that all member companies identify and respond to these risks. The sector organisations and the companies involved will act in concert with the government, trade unions and civil society organisations to address the problems that the companies prove unable to resolve individually. 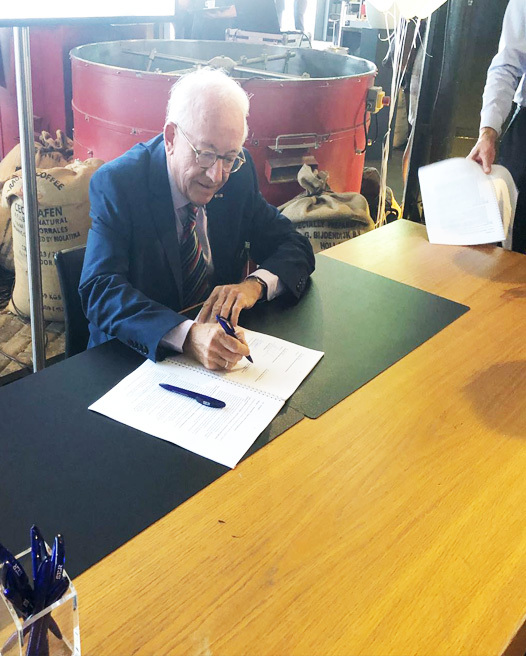 This Agreement will help the sector make the changes in business operations that are needed for responsible business conduct in the production chain. The Agreement establishes that in the first year, the parties will launch joint projects on the issues of climate and living wages. The IRBC Agreement for the Food Products Sector is the sixth IRBC agreement, coming after the agreements in the textile, banking and gold sectors enacted under the supervision of the SER. Agreements on insurance, pensions, floriculture, natural stone and metallurgy are in preparation. The Agreements conform to the SER’s 2014 advisory report on International RBC.